Think, design, build and paint cities, cars, characters, gardens, wars between galaxies or whatever you want with Chalking Incolour. 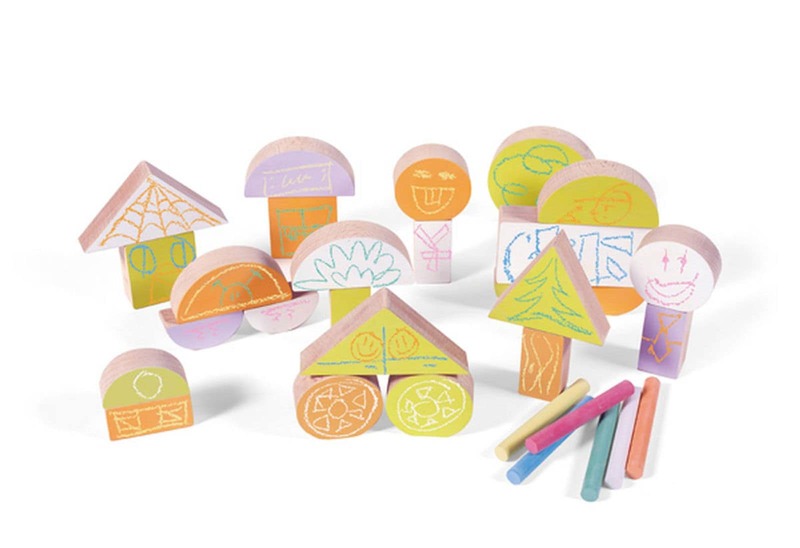 You, your imagination, 25 pieces of wood and 6 colored chalks. What does your imagination dictate? * Toy from 2 years. Think, design, build and paint cities, cars, characters, gardens, wars between galaxies or whatever you want with Chalking. What do you want us to talk about today? Complement your chalking with these accessories! Have fun learning the hours! With these colorful mice you will learn to add and subtract easily. Have fun playing with this wooden puzzle! Think, design, build and paint cities, cars, characters, gardens, wars between galaxies or whatever you want with Chalking XL.